"Her birthright was stolen. Her dignity taken. Her rights denied. Deception was the only option." 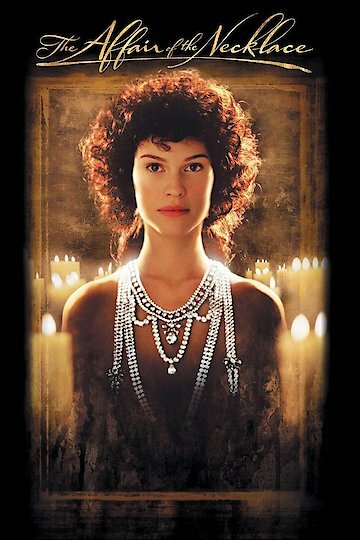 The Affair of the Necklace is a movie about a widow who was stripped of everything by her own royal family. Being completely broke and heartbroken, she then decides to take a stand and fight her family to get her place back in society. The Affair of the Necklace is currently available to watch and stream, buy on demand at Amazon, Vudu, Google Play, iTunes, YouTube VOD online.